Today was the 3rd Berliner Weisse Gipfel (Berliner Weisse Summit), a beer festival in Berlin dedicated to Berliner Weisse and related sour beers resp. beers inspired by Berliner Weisse. The event location is particularly special for that beer style, as Willner Brauerei, one of the large Weisse breweries in Berlin at the beginning of the 20th century, originally had their brewery and malting house located there. Nowadays, Bogk Bier and Schneeeule have put up their tent and have started brewing Weisse again. At the festival itself, both local and foreign breweries had stands, and served some fantastic beer. I haven’t taken many notes, but one brewery particularly stood out. 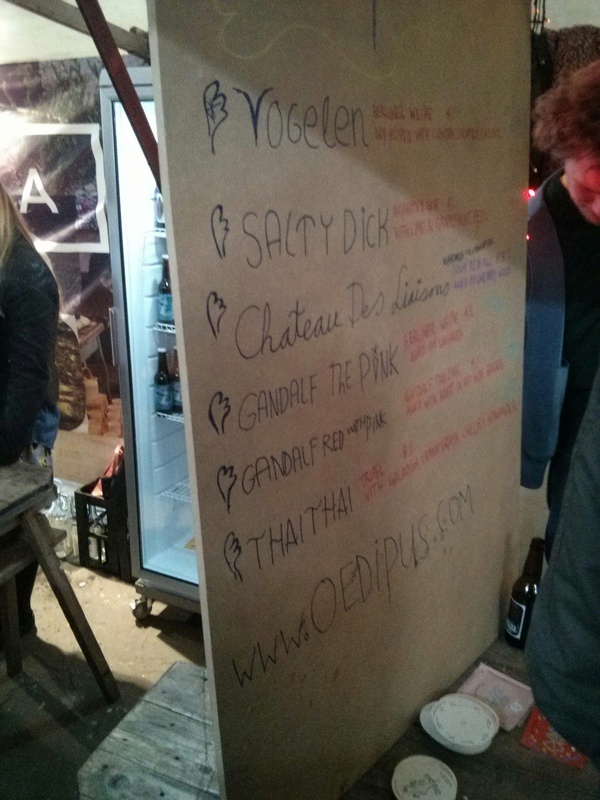 Oedipus Brewing from Amsterdam had a 4%ABV Weisse called Vogelen, dry-hopped with three different C hops which nicely accentuated the beer’s sourness. This was probably my favourite. Of similar quality was their Gandalf Red with Pink (? ), a Berliner Weisse fermented on cherries, and then further matured in a red wine cask with Brettanomyces. Wonderfully complex, with just a hint of cherry, and a nice tartness. 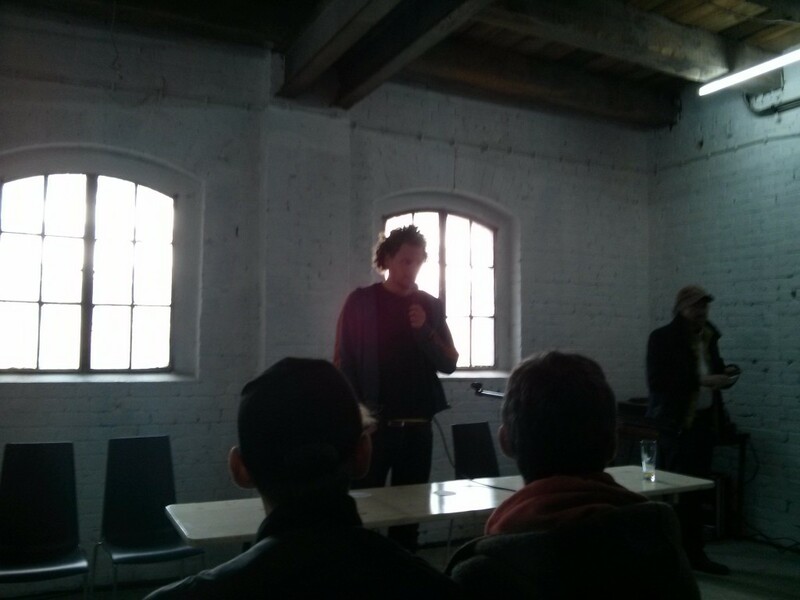 Oedipus Brewing’s brewer, Sander Nederveen, also held a very enthusiastic talk about wort souring techniques. Too much was said to summarise the whole talk, but let’s just say: they’re doing cool stuff with Lactobacillus and Brettanomyces, and they’re not afraid of the funk. Another interesting thing that was offered was a tour through the old brewery building. Willner Brauerei was an active brewery from the second half of the 19th century until 1990. Unfortunately, much of the brew kit has been removed shortly after closure, and transferred to the brewery museum that Schultheiss had opened up in Kreuzberg. Even worse, that museum was closed in 1994, and the exhibits were put into the Kindl-Schultheiss brewery storage facility in Hohenschönhausen. Of what’s still there, the malthouse could be visited. I found the kiln to be particularly interesting: the green malt was put on an upper level floor, consisting of a rather fine metal grid. There, the first low-temperature kilning happened. The malt was then transferred through a small hatch down to the lower level floor made of the same kind of metal grid. That’s where the second, high-temperature kiln was done. All kilning was done with hot air, so no malt ever had direct with the fuel or any of its fumes. All in all, it was a pretty well-organized festival, and I’m looking forward to next year. Talking to all the local homebrewers I met there, Berliner Weisse brewing seems to be up and coming. And last but not least, I took some bottles with me that I’ll be aging: first of all, the Gipfel-Weisse, a collaboration brew of Bogk Bier and Schneeeule, which is a Berliner Märzen-Weisse. Then a regular Berliner Weisse by Schneeeule, with the name Marlene. Another highlight of which I had to take a bottle was Meerjungfrau by Rügener Insel-Brauerei, a medium sour beer with a great complexity that reminded me of Gueuze. It’s refermented in the bottle with Champagne yeast, and combined great complexity with a good drinkability. 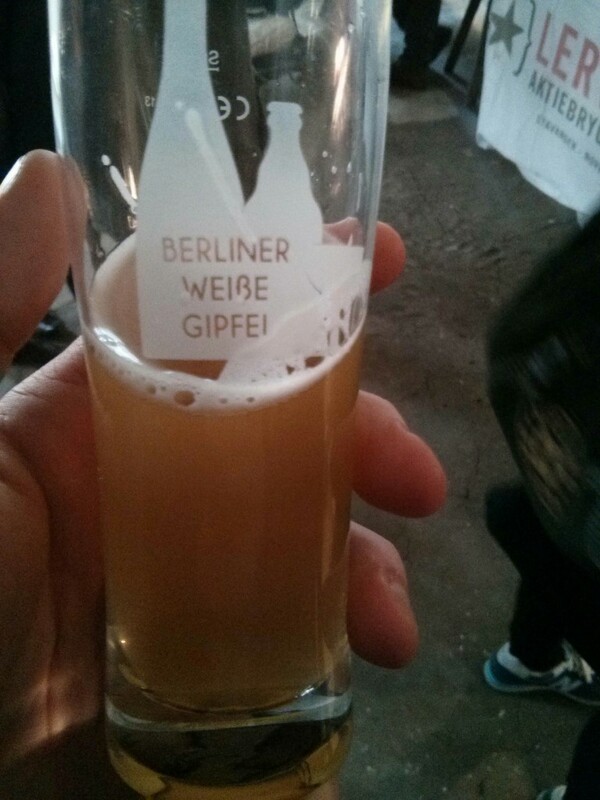 And last but not least, the Berliner Weisse by Biermanufaktur Potsdam. I picked this one because it had something going on that intrigued me. Let’s see how this one develops.